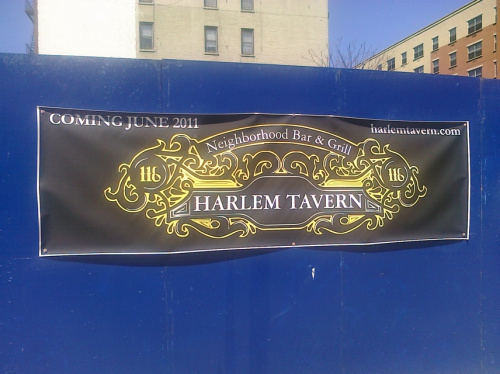 Harlem Tavern coming June 2011 | HarlemGal Inc. I was running errands today (April 17th) and look what I saw!!! I think this sign says it all! Let’s hope they really mean it regarding the June opening date! That would be a perfect time to open the place since temperatures should be just right! Stay tuned Harlemites! This entry was posted in Bars, business, Community, Harlem, Harlem Tavern, New York, New York City, NYC, restaurant row, restaurants and tagged 116th Street, Austin2Harlem, Frederick Douglass Blvd., Harlem, Harlem Tavern, new restaurant. Bookmark the permalink.